Thyra was born on 19 October 1902 at Taylor, Florida, United States. She was the daughter of George Taylor Scott and Ella Frances Jackson. She married Bradley Sampson Long, on 3 May 1920 at Taylor, Florida, United States.2 She married Frank Kerns, circa 1940.1 Thyra died on 1 April 1966 at Lakeland, Polk, Florida, United States, at age 63. Her body was buried in April 1966 at Oak Hill Burial Park, Lakeland, Polk, Florida, United States. Child of Thyra Ethel Scott and Leonidius Hamilton Wells Sr.
[S562] Jessie H. Paulk and Delma Wilson Paulk, Taylor Co. Florida Marriages, p. 322. Elma was born on 15 March 1907 at Taylor, Florida, United States.1 She was the daughter of George Taylor Scott and Ella Frances Jackson. She married Daniel Forehand, on 21 May 1922 at Taylor, Florida, United States.2 Elma died on 18 November 1991 at Naples, Collier, Florida, United States, at age 84.3 She was cremated at Naples, Collier, Florida, United States. John was born on 13 July 1910 at Taylor, Florida, United States.1 He was the son of George Taylor Scott and Ella Frances Jackson. He married Leavina Troop, on 14 May 1936 at Taylor, Florida, United States.2 John died on 9 January 1984 at Jacksonville, Duval, Florida, United States, at age 73. His body was buried at Riverside Cemetery, Jacksonville, Duval, Florida, United States. [S562] Jessie H. Paulk and Delma Wilson Paulk, Taylor Co. Florida Marriages, p. 142. Susie was born on 26 October 1912 at Spring Warrior, Taylor, Florida, United States.1 She was the daughter of George Taylor Scott and Ella Frances Jackson. She married Robert Joshua "Nat" Mixson, on 22 December 1927 at Taylor, Florida, United States.2 Susie died on 4 April 1996 at Perry, Taylor, Florida, United States, at age 83. Her body was buried at Woodlawn Cemetery, Perry, Taylor, Florida, United States. 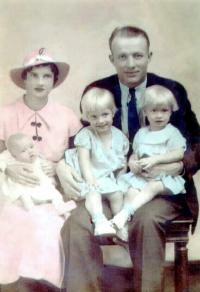 Connie was born on 9 November 1919 at Taylor, Florida, United States. She was the daughter of George Taylor Scott and Ella Frances Jackson. Connie died on 9 April 1993 at Holmes, Florida, United States, at age 73. Patrick was born on 30 June 1836 at Barnwell, South Carolina, United States.2 He was the son of Burton Carroll and Mary Ann Jowers. He married Nancy S. Hair, daughter of John Henry Hair and Mary Burt, circa 1854 at South Carolina, United States.3 He married Esther Jane Sanders, on 28 November 1886 at Leon, Florida, United States.4 Patrick died on 30 August 1916 at Suwannee, Florida, United States, at age 80. His body was buried in September 1916 at Beulah Church Cemetery, Suwannee, Florida, United States. Patrick Carroll was born in Barnwell County, South Carolina. He married Nancy Hair Jowers about 1854, in South Carolina. Nancy had previously been married to William Jowers, by which she had seven children. Patrick and his family, including the Jowers children, moved to Augusta, Georgia about 1859-60. At the beginning of the Civil War, Patrick left his family and enlisted 4 March 1862 at Augusta, Georgia. He enlisted as a Private in Captain Henry S. Dortic's Company C, 48th Georgia Infantry of General Wrights Brigade. His pension application [Confederate Pension Application A6059, Florida State Archives, Tallahassee, Florida] of 20 Jan 1900 claimed the following: "in the line of duty at Petersburg in the State of Virginia on or before the 22nd day of June 1862, [Ed. Note: This should have said 1864 not 1862] I received a Gun Shot wound in the left Forefinger with a Minnie Ball resulting in the Total loss of the left Forefinger, and on the 30th day of July A.D. 1864 in front of Petersburg, I was shot in the Left arm, Below the Elbow with a minnie Ball which shattered the Bones of the arm Just above the hand from which I had lost my finger. For those injuries I received a furlough and was sent to my home in Georgia and upon my return to the army or while returning about the 7th day of January A.D. 1865 - There was a Severe reck (sic) of the train on which I was travelling Between Danville and Petersburg, Va. in which I was Severely and permanently Hurt with a painful and permanent rupture in the Extreme lower left side, Causing Kidney and Spinal trouble to begin and from that time I have never seen a well day. But the Injuries which I then received were permanent and Have ever Since grown worse. As I grow older my Injuries grow worse and as a direct result of said Injuries I am physically unable to perform manual Labor and I have no other means of a Support except my Labor." Patrick was promoted to Corporal on 31 Jan 1864. His Pension Application also indicates that he was honourably discharged at the Hospital in Augusta, Georgia on 5 May 1865 where he was recuperating at the close of the war. On 14 Mar 1900, for the above service, Patrick was awarded a pension of $120 per year. He collected that Pension until his death in 1916. After the war, Patrick remained in Augusta. In 1865, he is listed in the Augusta City Directory as working in the "Augusta Factory". In 1867, he is listed as a "wool dresser". Between 1867 and 1870 he moved a few miles south into Burke County, Georgia. On 4 Sep 1870, he and his family were enumerated with the family of Baldwin B. Miller, a Physician and Farmer. Patrick is listed as "overseer on Farm". Patrick and his family moved to Suwannee County, Florida in 1872, as indicated in his Civil War pension application. Patrick died 30 Aug 1916, at age 80 and is buried in Beulah Church Cemetery, Suwannee County, Florida near his second wife, Ester J. Sanders. [S98] Florida Confederate Pension Applications, Application No. A6059. 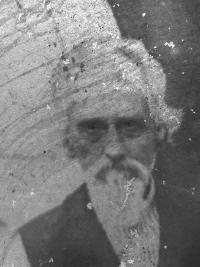 Nancy S. Hair's first husband, William Jowers died in 1853 intestate in Barnwell County, South Carolina. He "died much involved in his circumstances" and his "Estate is insufficient to pay the debts" according to the petitions in his estate papers. This left Nancy with 9 children, one being William Jowers daughter from a previous marriage. Nancy was about 16 years older than her second husband, Patrick Carroll and was about 34 years of age when she married Patrick. Patrick and Nancy were said to have been divorced about 1886 in Suwannee County, Florida, but no record of that divorce has been found. In fact, the story in the family is that Patrick abandoned Nancy at Mary Carroll Wooley's house (Patrick's sister) while he lived with several women. Nancy died at Mary Wooley's house and is buried in Macedonia Cemetery, Suwannee Co., Florida near her son, James J. Jowers. [S73] 1860 Census Richmond GA, Pg. 184, Dwelling 1521, Family 1487, 30 Aug 1860. Henry was born on 3 March 1860 at Alabama, United States. He married Josephine C. Carroll, daughter of Patrick Carroll and Nancy S. Hair, on 19 December 1894 at Suwannee, Florida, United States.1 Henry died on 7 September 1935 at Suwannee, Florida, United States, at age 75.2 His body was buried in September 1935 at Beulah Church Cemetery, Suwannee, Florida, United States. Benjamin was born circa 1808 at Washington, Georgia, United States. He was the son of Samuel Tompkins and Polly (--?--). He married Martha Hardie, daughter of William M. Hardie and Elizabeth (--?--), on 27 August 1835 at Stewart, Georgia, United States.1 Benjamin died on 13 December 1869 at Live Oak, Suwannee, Florida, United States. Both Partin (1775) and Samuel (1765) Tompkins were the only Tompkins from Washington County, Georgia that moved their families into Stewart Co. Georgia in the late 1820's. They resided in Stewart Co. living very near each other from the late 1820's until about 1841 when they moved further west into Covington County, Alabama. Since Benjamin Tompkins married Martha Hardie in Stewart Co., Georgia in 1835 and was living there in 1840 at the time of the 1840 Census it is clear that Benjamin must be the son of either Samuel or Partin. When Samuel and Partin moved into Alabama in the early 1840's, Benjamin and his young family did not move with them. Instead, Benjamin and family moved into Lowndes County, Georgia as they are found there in the 1850 Census. Likely Benjamin moved to Lowndes Co. because Martha Hardie's brother, Allen Hardie also moved to Lowndes Co. Georgia about that same time. The make-up of the Partin Tompkins family is nearly complete and it does not appear that Benjamin could be a son of Partin. Whereas, a male child of Benjamin's age fits in the Samuel Tompkins family based on the 1820 and 1830 census of the Samuel Tompkins family. Benjamin is enumerated very near Samuel Tompkins in the 1840 Census. The land he owned is one section south of land that Samuel Tompkins owned, whereas Partin's land was several miles distant. Benjamin named his third male child, Samuel. His first male child was named Theophilus, obviously named after his wife, Martha Hardie's Uncle, Theophilus Hardie, who was a prominent preacher in Stewart County, Georgia. His second male child was named William, quite likely after Martha Hardies, father William Hardie or possibly a William ancestor in the Tompkins family as that is a very common name. The name Samuel is used repeatly in several generations of the descendants of Benjamin Tompkins, whereas the name Partin is not to be found at all in his descendants Based on the above we have placed Benjamin as the son of Samuel. Benjamin served in the Stewart County, Georgia Guards for seven days under Col. David Burke in 1835 in the Creek Indian war. [Dixon, History of Stewart County, Vol II. p. 64.] His Widow, Martha Hardie, claimed in her Widows Pension Application of 31 May 1897 that he fought in Capt. Hornes, Jernigans and Greenberry Balls' 77th Georgia Volunteers in the Creek Indian Wars entering into service on 1 May 1836 at Lumpkin, Georgia and was discharged at Lumpkin, Georgia in July, 1836. 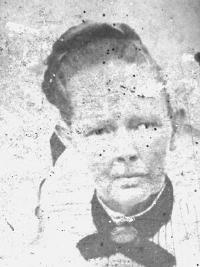 The War Department could not find any record that Benjamin was on the Muster Rolls of the 77th Georgia Volunteers so her pension application was not approved. Benjamin and family lived in Stewart County Georgia into the 1840's, moving by 1850 to Lowndes County, Georgia. He apparently moved with Allen Hardie, Martha's brother to Lowndes Co. Georgia rather than move with his father and brothers to Covington, Alabama. About 1854 Benjamin and his family moved into Hamilton County, Florida and finally into Suwannee County, Florida by 1861. The pension application of his widow, Martha, indicates he was 5 ft. 10 inches tall, had blue eyes, dark hair and of fair complexion. He died 13 December 1869, near Live Oak, Suwannee County, Florida. He is likely buried near Live Oak in Suwannee County but to date no grave marker has been found. [S708] Stewart Co. GA Records, Marriage Records Book A1, p. 39A. [S112] Sara Robertson Dixon, History of Stewart Co, GA - Vol. II, pg. 818. [S160] Indian War Pension Files, Widow's Pension Appl.#7161, Martha Tompkins, w. of Benj Tompkins. 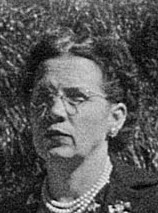 Ester J. Sanders is Patrick's second wife. 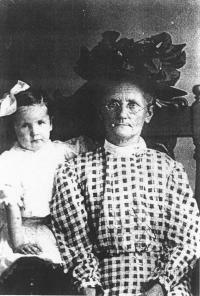 Ester claimed on her application to receive Patrick's Civil War pension after his death in 1916, that she married Patrick on 28 November 1886 in Leon County, Florida. She was not able to prove she had married Patrick as there was no record of her marriage to be found. As a result she was denied a pension. She is buried near Patrick in Beulah Church Cemetery, in Suwannee County, Florida. [S62] 1900 Census Lafayette FL, E.D. 75, Pg. 4, Dwelling 56, Family 58. [S117] The Suwannee Democrat, 21 Feb 1936, p. 7, Obituary of Mrs. Jane Shores. Robert Ransom Parker, or Ransom, was born in South Carolina, possibly Edgefield District about 1827. He joined and served in the Confederate Army in the Civil war. At the end of the war he returned to Madison County, severely injured according to his great grandson John P. Tompkins, who heard this from his grandfather John S. Parker. Confederate Military Records for Florida Military Units list two Robert Parker's, both are listed as Robert H. Parker. There are no Ransom or other Robert Parker's listed from Florida. It is possible that one of these Robert H. Parkers could be Robert Ransom Parker, but the place of enlistment of these two Roberts appeared distant from Madison County. Thus, we have not been able to find a clear record of Robert Ransom Parker's civil war service. On 18 Dec 1882, his widow Civility SULLIVAN Parker petitioned the Probate Court in Madison County, Florida for appointment as administrator of the estate of Robert Parker. Robert died 14 Nov 1882, and Civility, his widow, sold 160 acres of land in Sections 9 and 10 of Twp. 2 south, Range 11 east to W. T. Sullivan. This is the same land that Robert purchased in 1857 from the government. W. T. Sullivan was very likely William Thomas Sullivan (1850-1825), Civility's nephew and son of Jefferson Sullivan (1822-1900). William Thomas Sullivan, married Amanda Stroud and there is a Stroud Cemetery about 1 mile to the west of this property. A search of all know cemeteries in Madison County, Florida did not yield Robert's grave site. There are, however, several unmarked adult graves in the Stroud Cemetery (Section 4, Twp. 2 south, Range 11 east) which is located about 1 mile to the west of the above described lands. Robert Ransom could be buried in this cemetery. [S118] 1850 Census Columbia FL, p.73, dw. 379, fam. 379, 23 Nov 1850. [S68] Madison Co. Florida Marriage Records, Book A, Pg. 61. [S133] Madison County Florida Deed Records, Book K, p. 870. [S23] 1900 Census Suwannee FL, E.D. 111, Sheet 16, Dw. 300, Fam. 308 15 Jun 1900. [S710] Not found in 1910 Census of Florida. [S236] Wesley G. Wilson and Ernest A. Jones, History of the Jones Family, p. 69. [S710] From gravestone 6 Nov 1989. [S68] Madison Co. Florida Marriage Records, Book A, Pg. 439. [S117] The Suwannee Democrat, 9 Nov 1934, pg. 4, Obituary of Mrs. Jane Landen. [S710] Visited by writer 6 Nov 1989. [S236] Wesley G. Wilson and Ernest A. Jones, History of the Jones Family, p. 70. [S68] Madison Co. Florida Marriage Records, Book A2, Pg. 315. [S117] The Suwannee Democrat, 11 Jan 1935, Obituary of Mrs. Joseph Lousia Davis. William was born on 26 August 1857 at Madison, Florida, United States. He was the son of Robert Ransom Parker and Civility Sullivan. He married Clifford Brannan, daughter of Robert H. Brannan and Mary Boatright, on 12 December 1875 at Suwannee, Florida, United States.1 William died on 1 September 1938 at Suwannee, Florida, United States, at age 81.2 His body was buried in September 1938 at Rocky Sink Church Cemetery, Suwannee, Florida, United States. [S66] Suwannee Co. FL Marriage Records, Book 1, Pg. 216. [S23] 1900 Census Suwannee FL, ED 111, p. 20B, Rocky Sink 17th. Pct., Dw. 377, Fm. 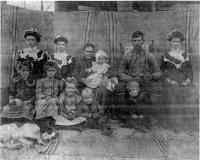 388, Family of W. H. Meeks, 20 June 1900. [S69] IGI 1988 Florida USA,. [S224] Suwannee County Genealogical Society, Suwannee FL Cemeteries - Vol. 1, p. 58. Thomas was born on 26 September 1862 at Madison, Florida, United States. He was the son of Robert Ransom Parker and Civility Sullivan. He married Archie Delone Patterson, on 14 February 1884 at Suwannee, Florida, United States.1 Thomas died on 20 February 1930 at Suwannee, Florida, United States, at age 67.2 His body was buried in February 1930 at Orange Church Cemetery, Suwannee, Florida, United States. [S69] IGI 1988 Florida USA, LDS Extraction Program Record. [S289] William Newman Whatley Family. Record Pages from William Whatley Family Bible. [S224] Suwannee County Genealogical Society, Suwannee FL Cemeteries - Vol. 1, p. 43. [S331] James Daniel Mims and Rachel Mavis Tomlinson-Mims, Suwannee Co. FL Marriages Book 2, p. 27 (recorded Book 2-46). William Sullivan (1790-1857) is the son of William Sullivan (c1755-c1840). The earliest record we have found of William (1790-1857) is dated July 1812 where William Sullivant, Sr. and William Sullivant are listed on the Direct Tax Digest of Montgomery County, Georgia as listed in the "Republican and Savannah Evening Ledger" of 14 July and 28 July 1812. McCoy, C.C.O.. This record is recorded on page 174 in Bulloch County, Georgia Marriage Record Book 1A. As was the case with most of the other marriage licences recorded in this book, there was no return or other indication to show that the marriage took place or the date that it took place. William and his family could not be clearly identified in the 1820 Census of Georgia. There are two William Sullivan's listed as Heads of Household in 1820. One William in Montgomery County is undoubtedly the family of William (c1755-c1840). The other is a William age 26-45 listed in Emanuel County. This could be William (1790-1857) although there are no females of Lydia's age listed in this record. Emanuel County was formed out of Montgomery County in 1812 with its border with Montgomery County along Pendelton Creek where the Sullivan families lived. Thus these families are likely related. Also William (1790-1857) continues to appear in the records of Montgomery County after 1820 suggesting that he and his family were possibly enumerated with his father in 1820. A William Sulivan Jr. from Montgomery County won Lot 128-9 in Monroe County, Georgia in the 1821 Land Lottery. What happened to this land has not been traced to determine if William Jr. ever moved onto it. By 1830, William Sullivan Jr and Sr are listed as head of family in the Lee County, Georgia Census. In 1840, William Sullivan, age 50-60, is listed as head of household in Lee County, Georgia. [Notes copied by Gladys Altman, who in turn sent them to Estelle Lencses, who in turn sent them to the authors] This is further supported by the marriage record of William Manning Sullivan (1828-1883) to Rebecca Shiver in Alachua Co., Florida in 1847 and the fact that William Sullivan (1790-1850) is found living with his sons, William Manning Sullivan family in 1850 in Irwin County, Georgia. Shivers are also found living nearby. [S158] 1840 Census Lee Co. GA, p. 184. [S592] 1850 Census Irwin GA, p. 405, dw. 229, fam. 229, Family of William Sylovint, 26 Sep 1850. Lydia was born circa 1795 at Georgia, United States.1 She married William Sullivan, son of William Sullivan and Mary Elizabeth (--?--), on 23 March 1813 at Bulloch, Georgia, United States.2 Lydia died circa 1845 at Lee, Georgia, United States. Peacock, who died about 1819 in Bulloch County (Georgia). Although that Samuel had hundreds of acres in land grants and was a Justice of the Peace several times, there doesn't seem to be any estate record for him, nor any explanation for what became of his land. His wife was Elizabeth Futch. This much is known because John Futch of Barnwell County, SC, gift deeded him land out of love and affection for his daughter. Samuel Peacock himself doubtless came from Barnwell County, and was must likely the son of Abraham Peacock (ca. 1732-after 1793), who moved there from North Carolina in ca. 1769." The authors have spent considerable effort pursuing this matter and were not able to find any further information to support Mr. Pierce's "suggestions". Sullivan and Lydia Peacock. Lydia had 12 children over a 20 year period that we know about. She may have had others that did not survive to maturity. Lydia likely died after 1840 as she was not enumerated with her husband William in the 1850 Census of Irwin County, Georgia. Thus it is assumed she died in Lee County Georgia circa 1845. This is based in part on the birth of her last known child, Clement in 1842. Raymon was born in 1907. He was the son of William Shanley Webb and Bertha Floied Blanton. He married Lillian Mulling.1 Raymon died in 1981. Jackson was born circa 1800 at Pulaski, Georgia, United States.1 He married Lydia Passmore, on 25 October 1827 at Pulaski, Georgia, United States. Jackson died after 1860 at Madison, Florida, United States. [S310] Tina Zipperer Golden, "Hammock Family Records."